DNA stained with DAPI (4′,6-diamidino-2-phenylindole) dye (blue). 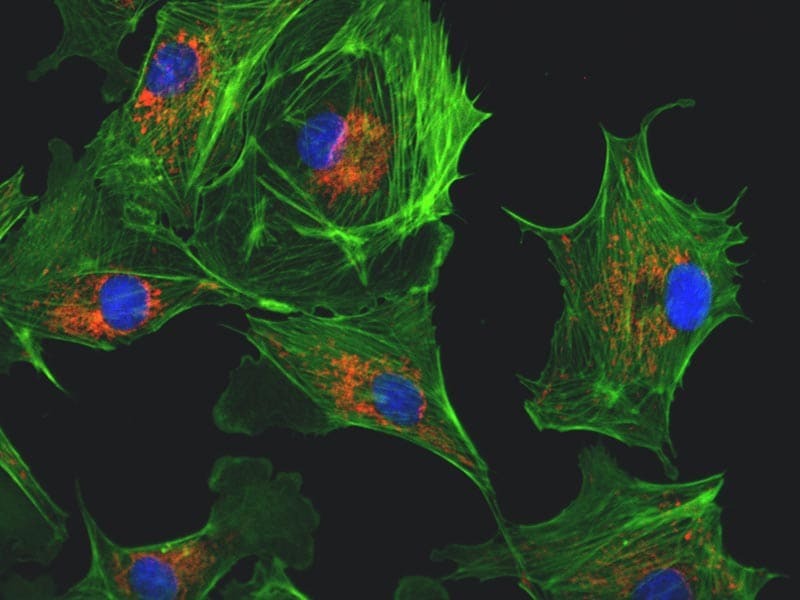 F-actin stained with phalloidin peptide conjugated to fluorescent Alexa Fluor 488 dye (green). Mitochondria stained with MitoTracker Red CMXRos dye (red).